Diary of our ducklings - click on the pictures to enlarge. 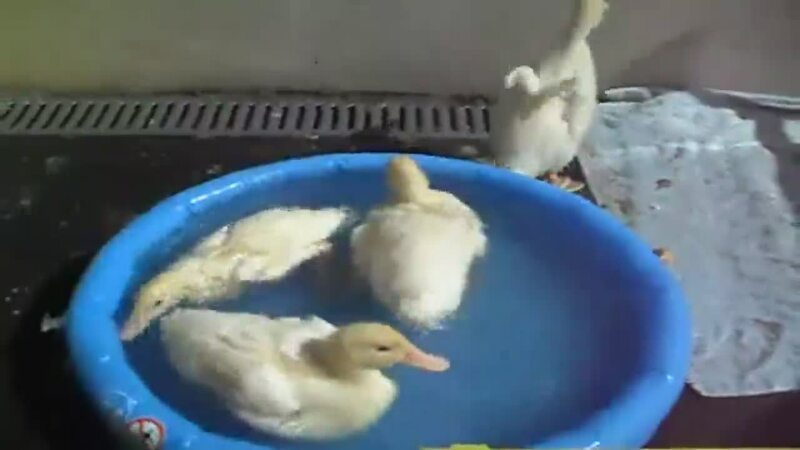 Meet the ducklings . . . . . This is us enjoying a swim back at school. Tonight we are off to our new how - Warren Farm in Shorne. Watch out for pictures as we grow older as we think some of your teachers will visit us! Today is the last day of the holidays, a little bit colder today so only a short stay outside. We have enjoyed our time on holiday, we have certainly been spoilt. It's off to school tomorrow where we hope you will all be able to visit us and see for yourselves how much we have grown before we go off to the farm to live. We have all multiplied our weight by at least 7 in 2 weeks!!!!!! If you look carefully you will see our tail and wing feathers are developing and beginning to look more like a proper feather - we are also becoming less yellow. We haven't found our 'quack' yet though? As we have got bigger we have also discover ways of escaping! We do like to wander but nobody seems to like the mess we leave as we go! As the weather has been nice we have spent most of the day outside enjoying the sunshine. Weigh day tomorrow - how much this week???? As you can see we eat a lot!!!!!!!!!!!!!!!!!!!!!!!! A few cute photo's you haven't seen . . . . . . . . . . .
Today the sun was shining and we swam ....... we really do swim that fast! How much weight do you think we will have put on by next Saturday? Whilst being cleaned out we escaped..........................we didn't go far, the floor was slippery! The day starts off with a move and more food!!!!!! Our first day together is spent in Class 3, we had over 300 visitors come to see us throughout the day! After a tiring day at school it is off on our holidays........ and a good nights sleep.